As asked for by members. 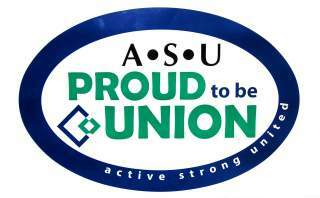 An A4 sized version of our oval shaped stickers that bear the message 'Proud To Be Union' along with the traditional ASU 'Active Strong United' slogan. Great for doors, filing cabinets, folders - anywhere really. Slap this sticker on your around the workplace and show everyone how proud you really are to be union!